Volvo has issued a series of press releases announcing it is quitting V8s in it cars, moving to all 4 cylinder engines, and called the V8 names in the process. Today Volvo announced it is proud to join the Australian V8 Supercars series. In early April of this year Derek Crabb, Vice President Powertrain Engineering at Volvo Car Group said of V8 engines "We will create smaller, more intelligent engines with so much power that they will turn V8s into dinosaurs.” Today Volvo proudly announced that it is joining the Australian V8 Supercars racing series beginning next year. For the past year or so Volvo has released a series of three press releases breaking the news to its customers that it is going to drop all but four-cylinder engines in its cars starting next year. The first announcement in April touted the company’s plans to turbocharge and direct inject all of its engines and that it would no longer offer V8 engines in its cars. This was not much of a stretch for Volvo who does no manufacturer their own V8s anyway, but rather has a long history of outsourcing the few V8s it put into limited run cars like the S80 and XC90. Both of these models have now moved to other, smaller, powerplants and Volvo doesn’t have a V8 powered vehicle for sale in the US at this time. The next announcement was about three weeks later and it highlighted a mechanical hybrid drive system that Volvo says will save about 25% of the fuel used in typical driving. This announcement was covered by Torque News and we did not focus on the fact that pretty much every automobile manufacturer on the planet has had hybrid systems that improve fuel efficiency by this much, or more, for well over a decade. The third announcement by Volvo was the one that really made it clear that not only was Volvo quitting V8s, but also giving up all other engines with more than 4 cylinders. 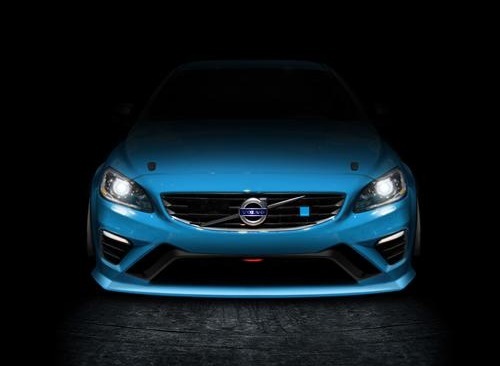 That is why this new announcement by Volvo that it will join a race series that only uses normally aspirated (non-turbo) V8 engines is so peculiar and surprising. It is sort of like a vegan brand announcing they are entering the steak house business. In its announcement today Volvo didn’t repeat the comment that V8s would become dinosaurs due to its new more modern motors, but instead, Matt Braid, Volvo Car Australia Managing Director said “As the first luxury car brand to enter an official factory team in the V8 Supercars Championship, we're determined to add to this heritage, while strengthening the presence of the S60 model line and the Volvo brand here in Australia.” Matt may not realize it, but Mercedes Benz AMG E63’s run in the series. Unlike the Volvo S60, buyers can actually go to a Mercedes Benz dealership and buy a V8 powered E class. In fact, they can choose from a few V8s offered in that model. The V8 Supercars series was a way for GM’s Holden division in Australia to have some fun on the track competing against Ford. Both offer V8 powered vehicles in Australia. Last year the Nissan Altima powered by a V8 joined the series. Nissan does not offer a V8 powered sedan, but does have trucks and sport utility vehicles with V8s in most large markets including the US. Volvo having gone cold-turkey on the V8 is an odd addition to the series. V8s lend themselves so well to racing that the series has become hugely popular. According to the official website, the V8 Supercars series has been broadcast in 137 countries reaching a potential of 500 million viewers. The cars are also very popular. In fact, GM has recently rebadged the Holden Commodore and is now going to sell it in the US as the Chevy SS. It will only be offered with a V8 at launch. We will continue to bring you updates on Volvo’s path to the elimination of the V8 in its models and let our readers know if it decides to run a V8 in the American NASCAR series.